Bienvenue dans le monde de la France! Rencontrez d’autres voyageurs Erwan Tiraspol! Congratulations GoTiraspol with first french guest! I wouldn’t expect to meet such an interesting person as Erwan from Rennes, Brittany, France. He works for National Railways as engineer. WOW! I always admire people who chose this kind of romantic professions. I met Erwan at the train station and we walked to the Hostel in the rain. Quick change and we are on the way to meet my friends Natalia and Lera for a city night tour. 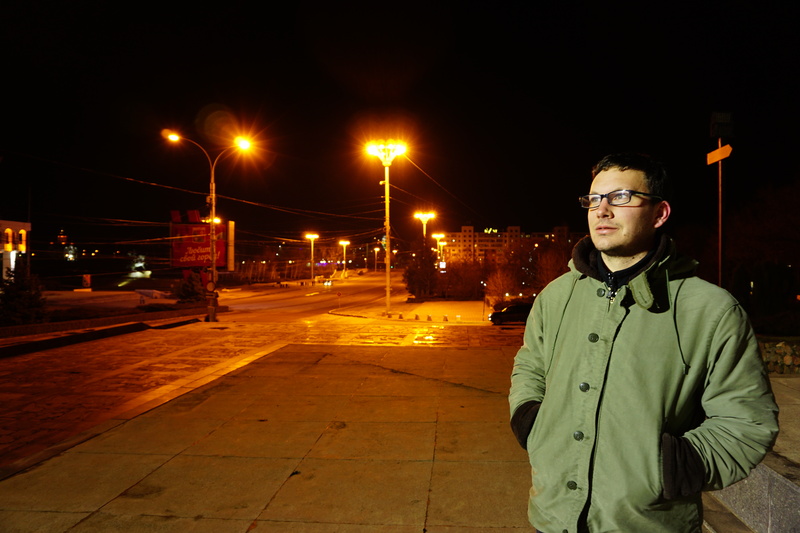 Yep, I can show you some really cool places in Tiraspol which are very mysteries at night. Unfortunately Erwan stayed only 1 day and had to leave the next day. Nevertheless we organised a registration at migration office so he wont have troubles reaching his next destination.